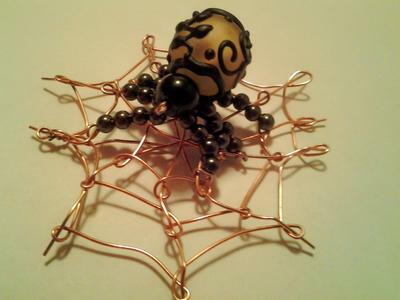 This first picture is a Halloween project I created based on different projects I came across here and on Artbeads.com. I later added a chain and wore it to work gaining several compliments from coworkers and guests. The second picture is easily my favorite piece at the moment. I found the owl watch at a craft store. I added a chain and placed key chain rings of similar color to create the top part. The gears are glued together using jewelry adhesive. The third picture is a necklace, bracelet, and earring set I created for my sister's sophomore homecoming. To clarify, I'm in Colorado and she's in Florida so I had to match the jewelry to cell phone photos (not from a Smartphone). 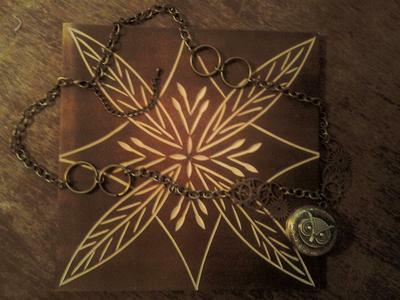 I glued the jewels to toggle clasps and glued one together to make the pendant and left one open for the bracelet. I wrapped the ribbon and chain together to spice it up a little and wrapped ribbon and chain together for the earrings as well. I have a few more projects started as well and just a bunch of seed beads and a bead stitching book for Christmas so there will be more to come!